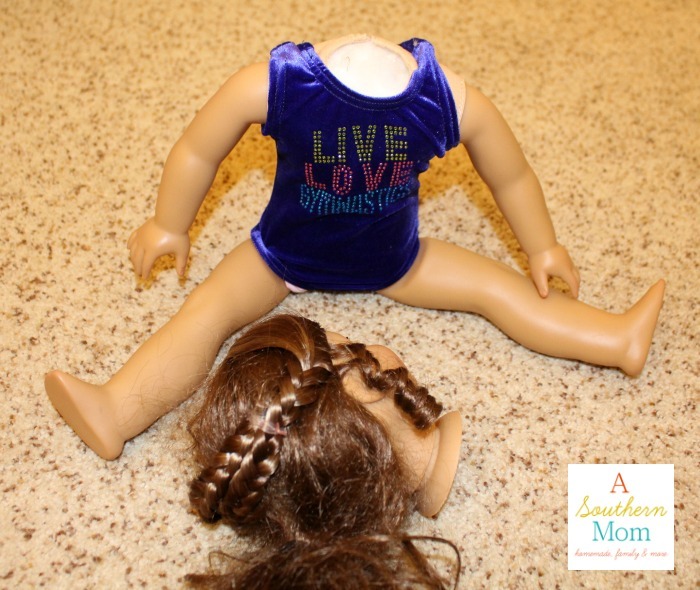 Has your American Girl Doll totally lost her head? I mean, has it fallen off? If so, you can reattach your American Girl Doll’s head without having to pay American Girl Doll store prices! 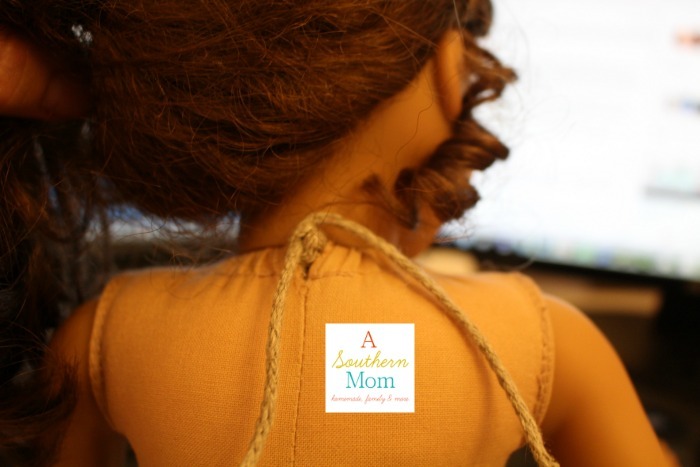 This is a super simple DIY American Girl Doll hack that anybody can do! Don’t need this hack now? Save it for later, you never know when your doll’s head might pop off. Not long ago, my daughter came down minutes after we had put her to bed in tears. She had her American Girl Doll’s head in one hand and her body in the other. “Lily’s head fell off!” she cried. My husband fixed her and sent her back upstairs. 10 minutes later, she came downstairs again. Daddy fixed her and off she went. Annnnd, here she comes again! At this point, I’m wondering…what in the world is she doing with her American Girl doll? I take her doll to get a closer look and realize that I don’t see the string hanging down the back of her neck. “I threw it out…it was ugly“. Well, my dear child, it also kept her head on! We put her head back on and decided she would be a “look but don’t touch” doll until we could take her to the American Girl Doll Hospital an hour away. When I finally had some free time, I decided to look up pricing for the American Girl Doll Hospital. We had gone once before when she had some marks on her face and they wiped it off for free, so I assumed the price would be pretty reasonable. NOPE! 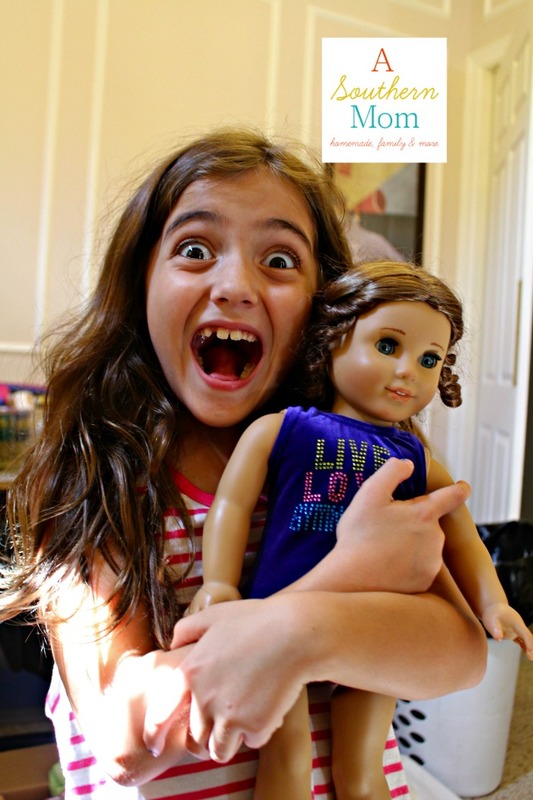 The American Girl Doll Hospital wanted $32! At this point I decided that this was a problem I could probably tackle at home myself. 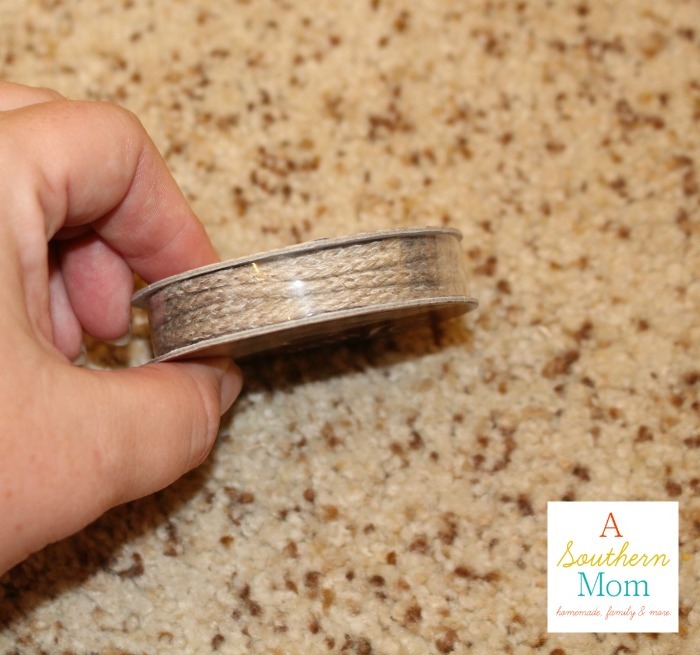 Since I love to sew, I knew it would be similar to inserting elastic into a casing (like with my easy to sew pants tutorial here). We set up our very own American Girl Doll Hospital here at home and it was actually a super simple fix! 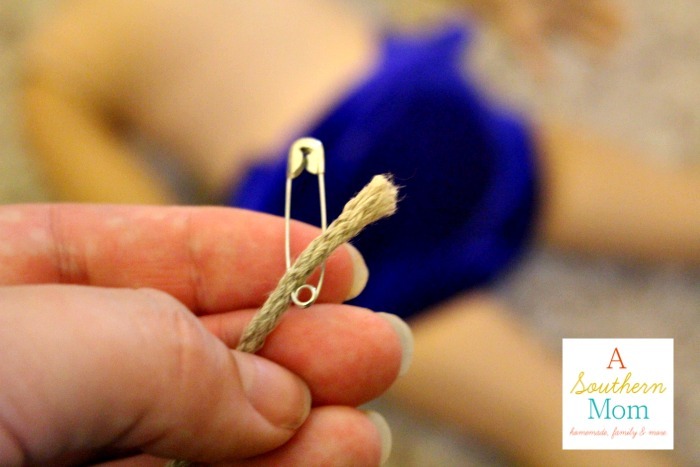 Hopefully, you never find yourself in a situation where you have to fully replace the string that holds your American Girl Doll’s head in place, but if you do…here’s how you can do it. This took me about 20 minutes. HOWEVER, what I did not realize was that there was still some STRING left in the doll! Everytime I tried to feed the cord through, I hit resistance. I broke several safety pins and stabbed myself several times. I completely gave up on the rounded needle (which would have worked fine if there had not been an obstruction in the way). From the time I got that string out, start to finish it took less than 2 minutes! 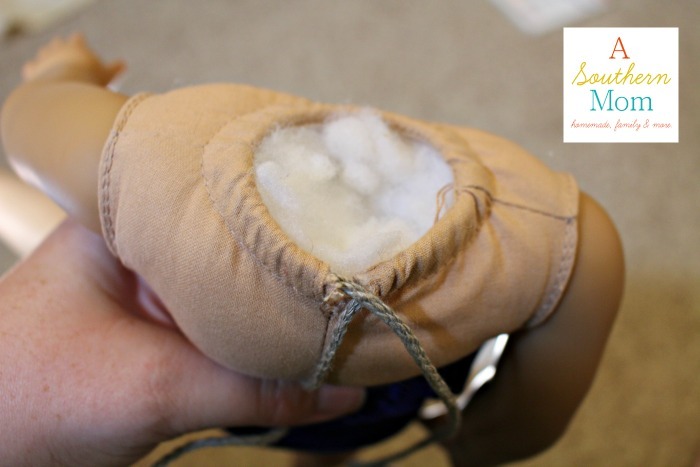 Locate the casing (you might find you have more room to work if you pull some of the stuffing out of your doll) and thread your needle/safety pin into the casing. 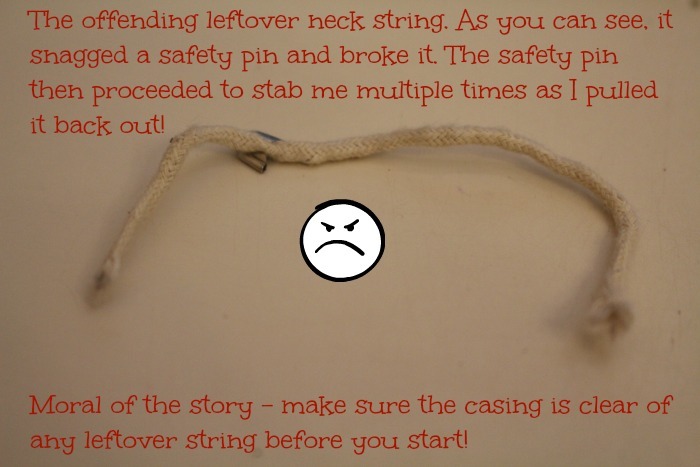 Move the needle/safety pin through the casing carefully. Pull the needle/safety pin forward, scrunching the fabric as you go (if you are using a safety pin, be sure not to squeeze it. It’s a real pain if it opens inside the casing! ), then let the cord catch up. This will make sense as you do it. When you get to the other side, pull out your desired amount of cord. Cut the tail. Put any stuffing you took out back in. Tie her head back on and enjoy! Tada! Look at my happy camper! 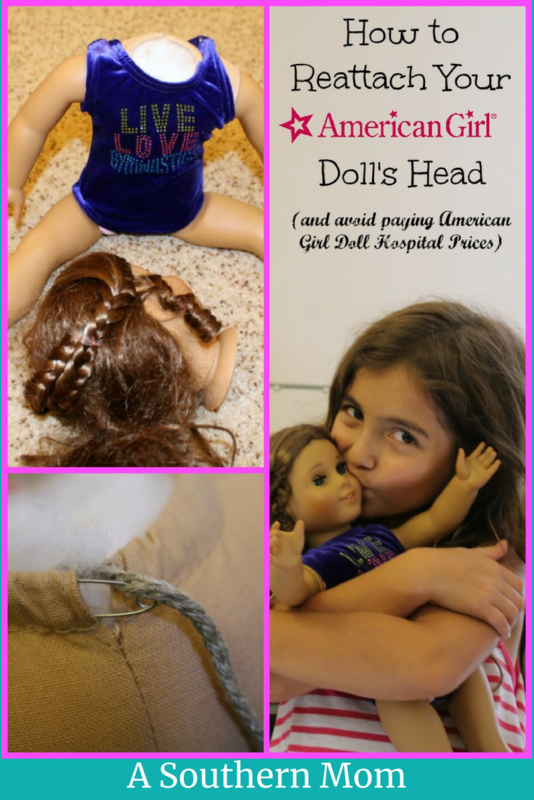 Our American Girl Doll Hospital DIY fix cost less than $3 and I have cord leftover! Have you had any American Girl Doll catastrophes? Comment below!